On October 28, Turkmenistan’s Ministry of Foreign Affairs issued a statement strongly contradicting the Russian government’s views on the bilateral gas trade and on Turkmen gas export policy in general. The statement follows six days after Russian President Dmitry Medvedev and a governmental delegation held talks with President Gurbanguly Berdimuhammedov in Ashgabat. The Turkmen MFA’s statement rejects the “unsubstantiated,” “completely groundless,” and “counterproductive” assertions by unnamed “Russian officials” in connection with Medvedev’s October 22 visit. Those assertions are being “assessed in Turkmenistan [i.e., by the President] as an attempt to hinder our country’s normal course of international cooperation in the sphere of energy” (Turkmenistan.ru, October 28). This tenor is reminiscent of the April 2009 polemics triggered by Moscow’s sudden halt in gas imports from Turkmenistan, without advanced notification, and the resultant blowup of the transmission pipeline in Turkmen territory. For Turkmenistan, it was the ultimate proof that it could not rely on Russia for security of demand, spurring Turkmen efforts to diversify gas export routes away from Russia. The October 28 statement takes issue with Russian assertions that Turkmen gas is not in demand in Europe; that Moscow is holding talks with Ashgabat about Gazprom’s participation in the proposed Turkmenistan-Afghanistan-Pakistan-India (TAPI) pipeline; and that Turkmenistan has abandoned the Caspian Littoral Pipeline project, designed to run from Turkmenistan via Kazakhstan to Russia. In what reads like a stinging rebuke to Gazprom, the document says that Turkmenistan values European companies for “proving themselves to be reliable, predictable, acting in good faith and on economic-commercial logic. Accordingly, Turkmenistan will continue to develop the European direction for its gas exports.” The MFA statement dismisses the possibility of an agreement with Gazprom on the proposed TAPI pipeline. And it says almost explicitly that Moscow criticizes Ashgabat over the Caspian Littoral Pipeline project only as a pretext for Moscow’s own decision to drastically reduce gas imports from Turkmenistan since 2009. Most of the incriminating assertions in Russian media can be traced to Deputy Prime Minister Igor Sechin (Interfax, RIA Novosti, October 22; Kommersant, Vedomosti, October 25). Sechin was extraordinarily loquacious with the media during Medvedev’s visit to Ashgabat. The Russian president, by contrast, sounded serenely disengaged, worked his I-pod, and extolled the virtues of energy conservation; as if dress-rehearsing in Ashgabat for the benign post-modern reformer’s role, imminently due for an on-stage performance in Brussels. Sechin, however, went out of his way to discourage Turkmen gas exports to Europe. He insisted that European gas markets could hardly absorb Turkmen gas in the years ahead, due to depressed demand and diversification of supply from sources other than Turkmenistan. He stated, repetitively, that the EU-backed Nabucco project had “no future” due to insufficient gas supplies (an outcome that he promoted by trying to discourage Ashgabat from participating). Moreover, Sechin claimed, Russia’s South Stream project will advance faster than Nabucco, preempting gas resources and making Nabucco redundant. He implied that Ashgabat shared his views; an insinuation rebuked six days afterward in Ashgabat’s statement. Conversely, Sechin encouraged Turkmenistan to increase gas exports to China, an “almost infinite market” that could absorb both Turkmen and Russian gas. He also offered every possible assistance in directing Turkmen gas exports, via Afghanistan, to Pakistan and India through the proposed TAPI pipeline. Apparently on Gazprom’s behalf, Sechin proposed four possible versions of the Russian state monopoly’s participation in TAPI, listing them in crescendo order. 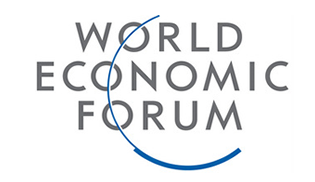 First, Gazprom would design the pipeline; second, Gazprom would be the designer of the project and subcontractor of the construction work; third, Gazprom would be an investor and stakeholder in the project consortium; and fourth, Gazprom would participate in gas extraction onshore in Turkmenistan, as well as in the marketing of gas in Afghanistan, Pakistan, and India. Three days later, Russia’s Deputy Energy Minister, Anatoly Yanovsky, announced that the Russian government had forwarded this set of proposals officially to the Turkmen government (Interfax, October 25). Turkmenistan is rapidly increasing its export pipeline capacities to the east (China), south (Iran), and west (toward the Caspian shore, awaiting a transportation solution to Europe). 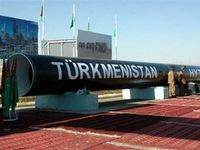 However, the new pipeline capacities can not yet accommodate Turkmenistan’s current export potential for gas. The old pipelines northward to Russia (via Kazakhstan and via Uzbekistan-Kazakhastan, respectively) are being utilized far below capacity since the spring of 2009, due to depressed demand in Russia and Europe, and pending a post-crisis recovery. Russia has contracted to buy only 10.5 billion cubic meters (bcm) of Turkmen gas for 2010, down from the pre-crisis level of 40 to 45 bcm per year (which almost fully occupied the existing pipeline capacities running toward Russia). The Caspian Littoral Pipeline project was designed in 2007 for a substantial increase in Turkmen gas exports to Russia, probably intended to supply the South Stream project, which Moscow launched that same year. Construction work seems never to have started on the littoral pipeline, however. Meanwhile, Turkmenistan has been compelled to reduce its gas production at the fields dedicated for export to Russia, and is losing export revenue as a result. President Berdimuhammedov had hoped to reach at least a preliminary agreement with Medvedev and his delegation for an increase of export volumes to Russia in 2011. Such an agreement did not materialize on this occasion, but may yet be reached by December. Meanwhile, Russia’s message to Ashgabat gas can not be made more explicit: Export your gas anywhere except Europe, and Gazprom will help you in this regard.